On Christmas Day, Bruce Kohler wakes up in detox on the Bowery in New York City. He knows it s time to change his life, but how can he stay sober without dying of boredom? When homeless alcoholics start to die unexpectedly, Bruce is surprised to find he cares enough to want to find out why. Most of them had been down and out for many years, but Bruce's friend Guff was different: a cynical aristocrat with a trust fund and some secrets. Two old friends give Bruce a second chance and agree to help him with his investigation: his best friend, Jimmy, a computer genius and history buff who's been in AA for years, and Jimmy's girlfriend Barbara, a counselor who sometimes crosses the line between helping and codependency. Barbara works a night shift at the detox and confronts a counselor who might still be dealing drugs. Bruce gets a job temping for Guff's arrogant nephew. Between the three of them, suspects start piling up. The trail leads back to the detox. Or does it? In Death Will Get You Sober, Bruce discovers that the church basements of AA are a small world in the big city of New York. As he grapples with staying sober, he finds that not drinking is only the beginning of coming back to life - a life he finds he wants to keep when it's threatened by a killer. 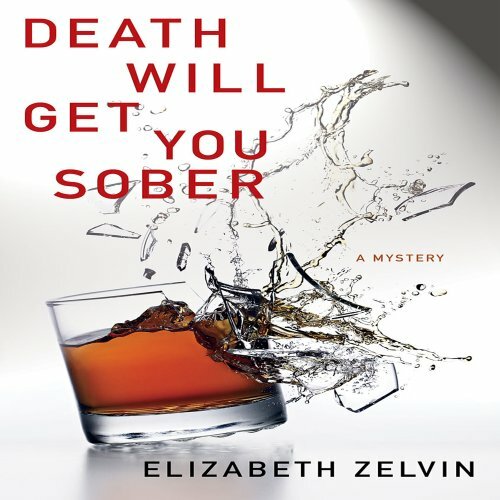 Debut author Elizabeth Zelvin has used her expertise as an addiction councilor to pen a riveting mystery filled with memorable, realistic characters who are as flawed as they are heroic.